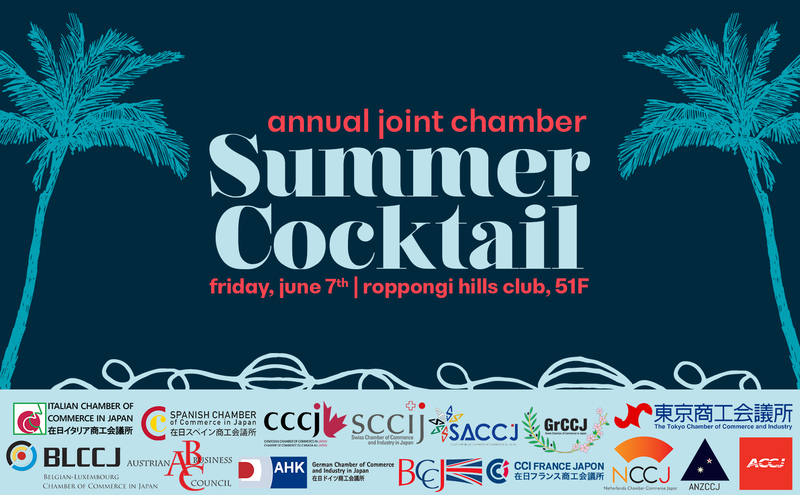 The Canadian Chamber is hosting their annual joint chamber summer cocktail, this time including BLCCJ. Since many chambers are participating, this event will be a great opportunity for networking! The event will feature a buffet and free flow of drinks, including wine, beer and soft drinks. Be sure to sign up fast as tickets are limited! BLCCJ spots are limited to 20, first-come first serve. Due to limited spots, corporate members can sign up 2 guests, professional and individual members can sign up only 1. To register, please send your full name, company name and title to info@blccj.or.jp We will confirm if you are on the participants’ list or waiting list. You will need to arrange payment in advance by bank transfer (no cash payments). We will send the bank details in the confirmation email. Deadline for registration is 31 May or when seats are full. Any cancelations after 31 May or no-shows will be charged in full.